Every once in a while, guns show up that make you scratch your head and wonder about what the Russians actually were trying to do when they made changes. Some of them, like going from the spring loaded firing pin to a free floating design, seem to have been made for ease of manufacturability, maintainability, or perhaps increased reliability (ever seen a FP spring after a popped primer?). One that has always intrigued me is the transition from the year + arsenal marked receiver covers of the '49 through '55 guns, to the blank receiver covers of the '56 to '58 series. We fortunately have enough guns shown and mentioned by collectors all around the web that we can start to see how this transition actually played out. These guns are 1956, letter "Д" suffix guns with a serial number beginning with the letters "KP". 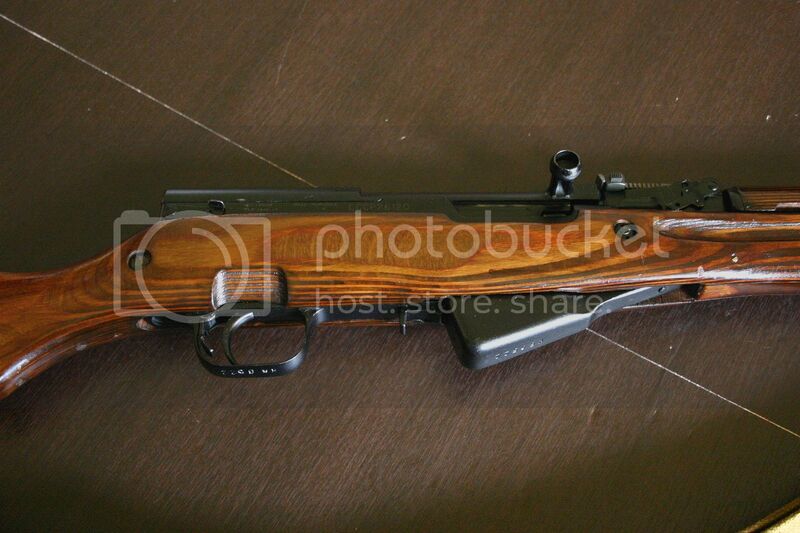 KP219_Д with no receiver star, a '55 cover, and a refurb hardwood stock. 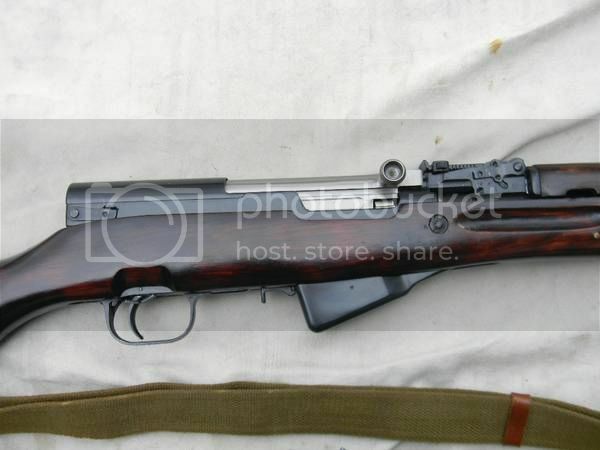 KP1194_Д with no receiver star, a '55 cover, and a no-date/no cartouche hardwood stock with various crisp proof marks. KP2348_Д with no receiver star, a '55 dated cover and a heavy refurb job including a replacemwnt amber laminate stock and EP'd trigger group. 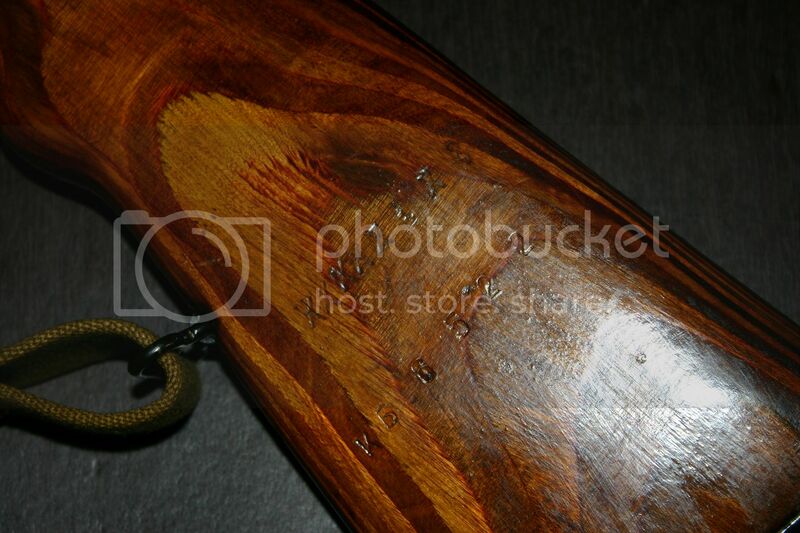 KP2416_Д with no receiver star, a no date cover, and a replacement amber hardwood stock with no cartouche. This gun is a heavy refurb, though the cover is from a KP_Д series, it may not be original to this gun. 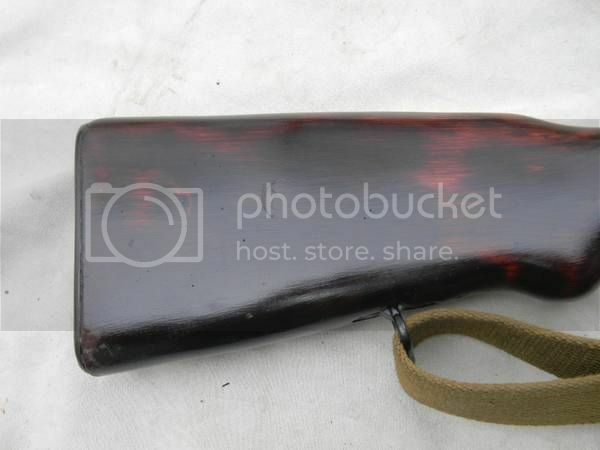 KP2643_Д with no receiver star, a '55 dated cover, and what I believe to be a replacement red laminate stock with no cartouche. 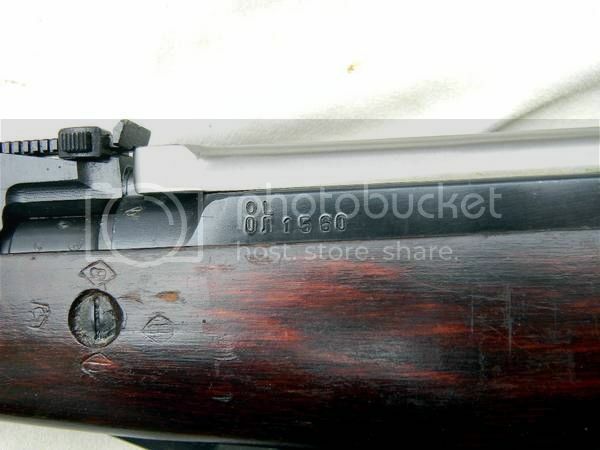 KP2921_Д with no receiver star, a '55 dated cover, and a no-date/no cartouche hardwood stock with crisp proof marks. I found this one in my furloughs over in the dark depths of the Russian web. 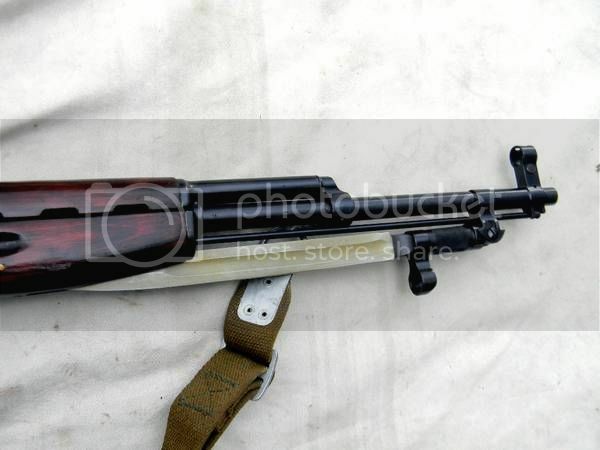 KP5264_Д with no receiver star, with a no date star cover and a replacement amber laminate stock. KP5584_Д with no receiver star, no-date star cover, likely replacement/refurb stock as the color is way off and all the proof marks show indications of sanding. 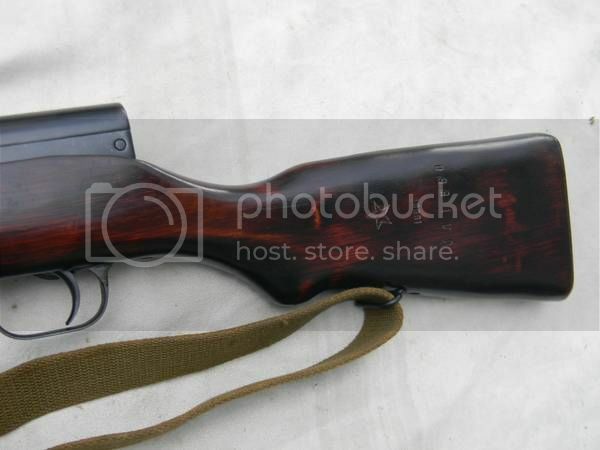 I had this gun in the list forever, but only recently found the photos on Yooper's site. 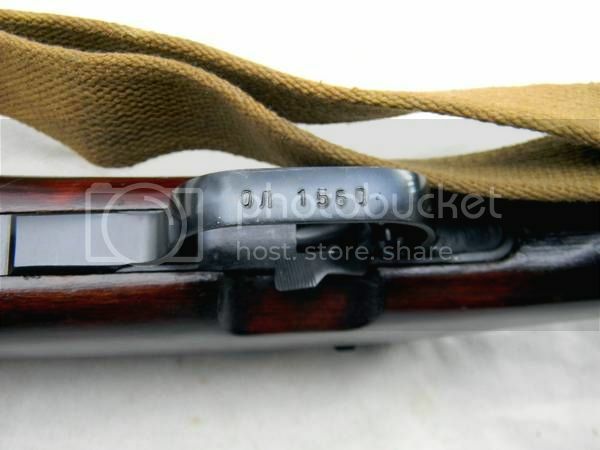 KP6338_Д with no receiver star, no-date star cover, and a no-date/no cartouche hardwood stock with what appears to be shellac in the valleys of the stock S/N. KP6367_Д with no receiver star, a definite star on the receiver cover (likely a no date star stamp cover), and a no-date/no cartouche stock. Unfortunately photos are not the best. 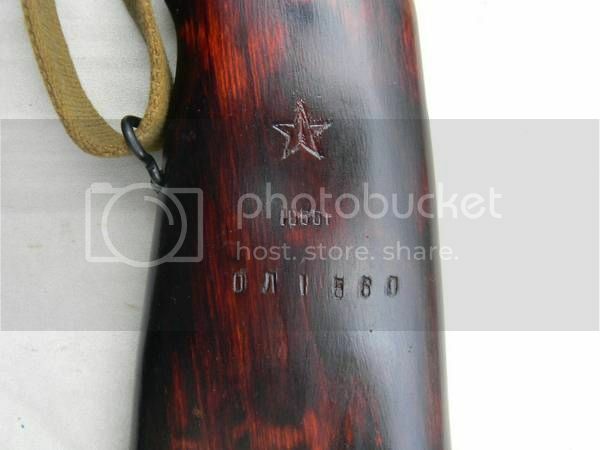 KP6640_Д with no receiver star, no-date star cover, and a no-date/no cartouche hardwood stock with various crisp proof marks. 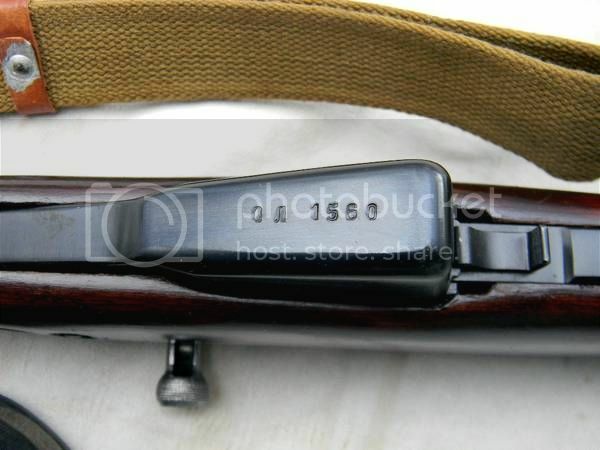 KP6852_Д, with no receiver star, blank cover, and a refurbed hardwood stock w/ a clear refurb mark (1827th ABV / Nizhyn) right next to the S/N stamping. 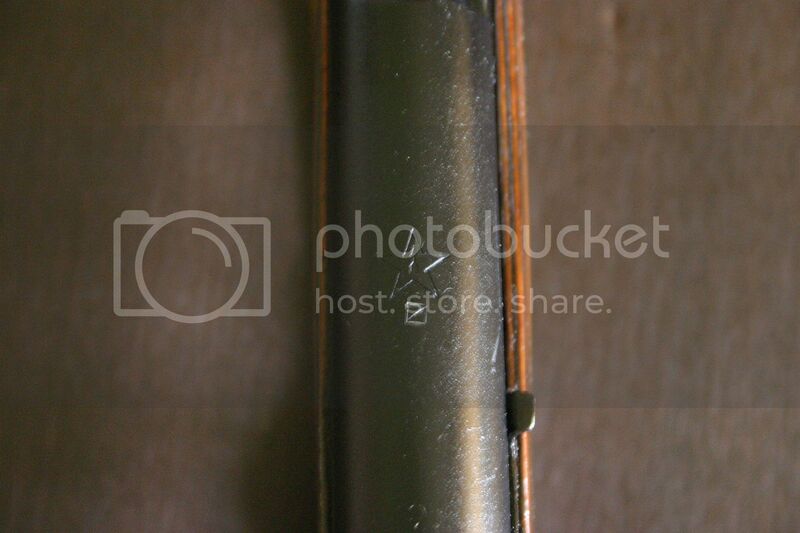 Unfortunately, due to the refurb, this blank cover may be a replacement and not necessarily be original to the gun. KP7479_Д with no receiver star, no date star cover, no-date / no-cartouche stock with crisp proof marks. Looks like an as-issued gun to me. I would say that KP prefixed guns don't have the receiver Tula star stamp as the general rule. (does anyone have any info of a KP prefix, Д suffix SKS with a star on it that I somehow missed? The cover seems to have transitioned from 1955 dated w/ a Tula star to just the Tula star, and then possibly to a blank cover as the S/Ns increased. 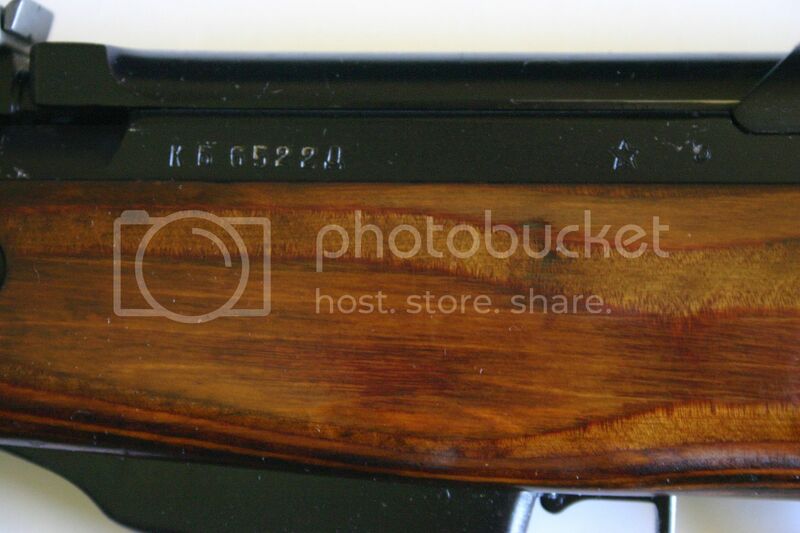 Another series worth looking into is the CM series as CM9308 is verified with photos to have similar no receiver star, no-date cover, no cartouche hardwood stock characteristics with the KPs, though the S/N definitely lacks the Д. Not quite sure what to make of that…. Photos from various auction sites and internet postings are used under 17 U.S. Code § 107, fair use, not for profit educational purposes. If any of the photos in this post are yours and you explicitly do not want them shown, please contact me. Ok.. now I see your narrowing down the transition to letter gun and likely found the prefix in which it took place. Very nice. So does this go along with the 56 to 58 production theory with letters replacing the dated covers? Or am I getting confused? No you're right fenceline. This is just a transition from '55 to '56 because of the suffix markings and the '55/no date star/blank covers. I think the Cyrillic suffixes denoting year of manufacture are solid. The fact the AK and Makarov pistols have the exact same markings and can be tied to the 56 to 62ish timeframe with specific letter designators is a pretty solid link. I'm fully sold on them, and for me, that's saying quite a lot. Means a couple of more years to look for with regards to a complete collection. Whatever will I do haha. Could a 1955 "CN" also be in the series that the stock excludes the year and Tula cartouche? Makes sense since it follows the "CM" series. There is no "N" in Cyrillic. There is a "И", but it's before "М" Next letter in the alphabet is an "Н". I'm seeing patterns that the Russians did *not* necessarily follow increasing alphabetical order when they assigned various prefixes. 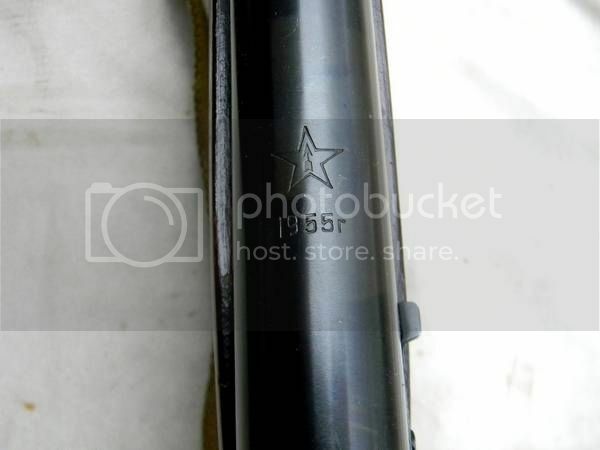 For example KA _Д and KB _Д series guns both have blank covers and Tula stars on the receivers while the KP _Д in this thread have stars on the covers (some with 1955 dates) and none have Tula stars on the receivers. It's hard for me to imagine that the Russians started, stopped, then restarted something like this. The more likely answer is that the KPs were fabricated in early '56 before the KA and KBs which were done later on. The Russian alphabet has 33 letters, of which I believe 29 letters are used as it relates to firearms. The “batch codes” were a functioning secret code and thus they did not run the letters consecutively. With the AK, some of the batch codes have repeated over the years but the point is they did not run consecutively. So it makes perfect sense that prefix KP is when the SKS transitioned from 1955 to 1956, regardless if we see earlier letter prefixes (e.g., KA, KБ). Possibly other batch codes will surface that also exhibit 1955 features. If KP is in fact the only batch code where this transition occurred, with no receiver star and a 55 cover, it’s probably safe to say the entire KP run could have been accomplished in one month depending on production output? So it’s not out of the realm to suspect that the transition “may have” occurred at the end of 1955? And more food for thought…who’s to say the Д suffix occurred exactly in the very beginning of 1956? For all we know it could have happened in late 1955 and carried through 1956 or not. Do we know when their production years actually start and end? Don’t know if any batch codes have repeated with SKSs but collecting data, like you guys are doing, is how to decipher any potential pattern, whether one exists or not. Here another example for your data. It's my refurb KБ prefix and Д suffix with receiver star, no-date star cover, and no-date/cartouche stock. Just as other examples you have documented, clearly the KP run pre-dates this, although this has earlier letters in the alphabet. 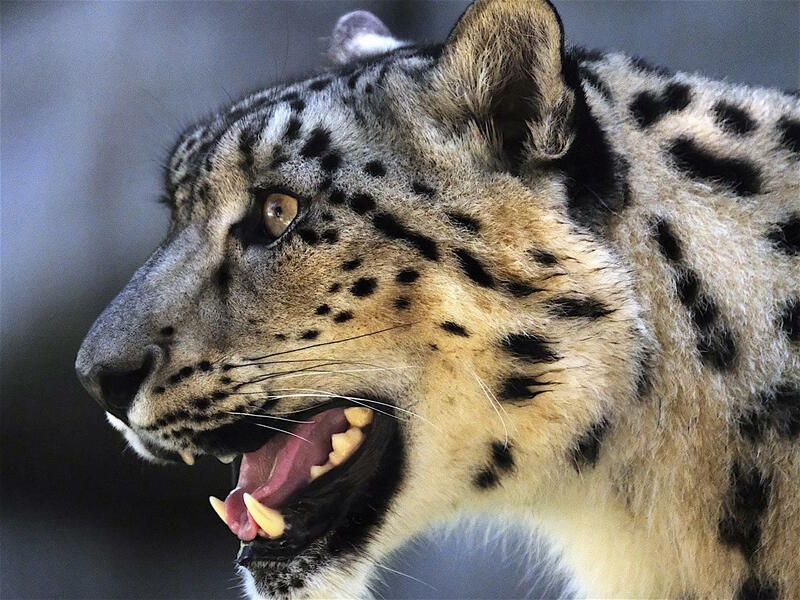 We've got a thread going called Breaking the Russian Cyrillic Prefix code (you need to be rifleman or above to access it) that is where our main S/N tracking is happening. I'm actually in the process of expanding the database to not only include S/N and year, but other feature information that will be helpful as well. 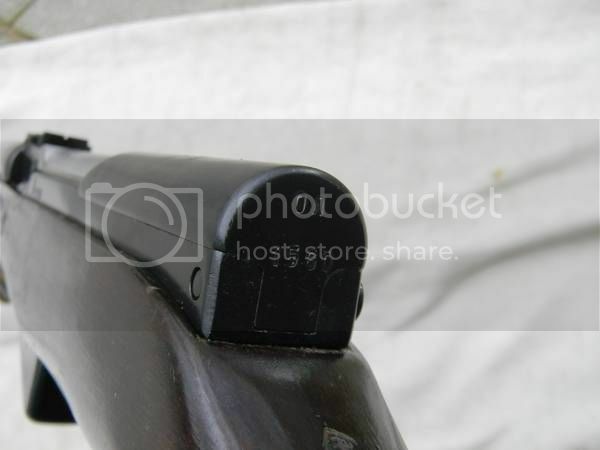 Obviously this cover is not original to this 1956 built gun. Every feature is wrong for a 1949 build. We either must use only pristine guns (which I started out doing, is very difficult to find good candidates, and doesn't have a huge population) or we establish patterns with like Cyrillic prefixes and features (like has been done here with the KP guns in this thread). 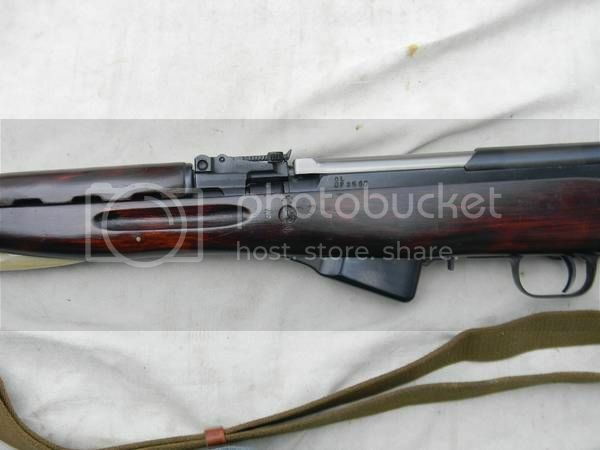 Unfortunately, the Russians did indeed repeat prefixes in the SKS world (I have examples of AB being used on pristine guns from both '51 as well as '54), so just finding a single prefix does no good unless we can 'date' it using feature progression or match it to a gold standard gun in some way. I'll be on the lookout for KБ prefixed '56s though, you have an interesting gun there. 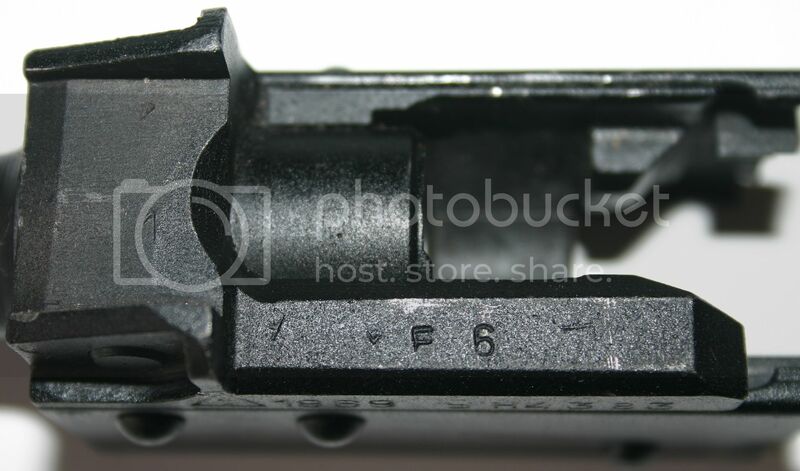 I always assumed that the KP's were made w/o the receiver star simply because it would have been redundant since the receiver cover had the star, but your gun has both receiver star and receiver cover star with no date. If there are other KБs like that it would be interesting to compare them. 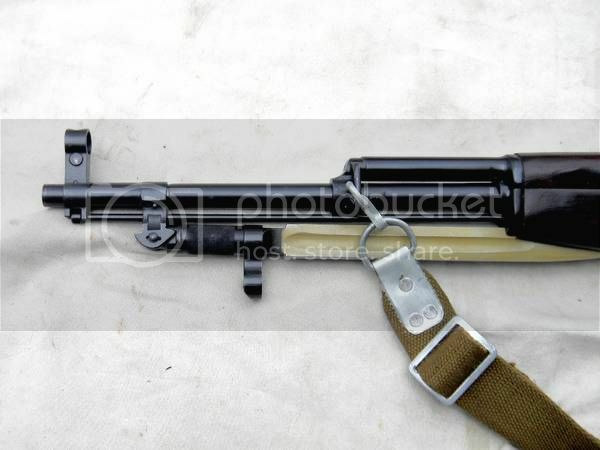 It could be a simple receiver cover swap & S/N scrub/restamp (like my example above) with a KP gun during the refub though. Hard to say with a single data point, but something to be on the lookout for. As for Д occurring right at the beginning of 1956, I guess it's just an assumption on our part. Why would they apply that mark in '55 or in '57 if it means '56? 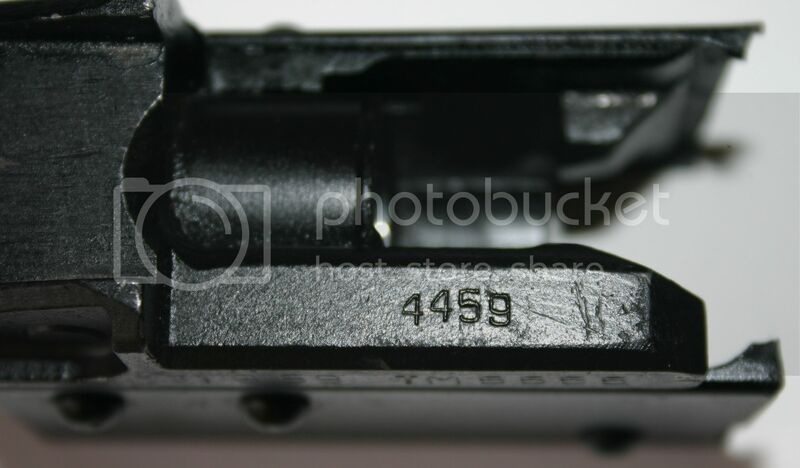 I could see a receiver cover from inventory that had already been stamped being put on a gun made the next month, but I find it a hard sell to think they would add a letter suffix to a gun that was not representative of the year it was made. I think we would need to revisit the Д = '56, И = '57, and K = '58 aspect of things if that were the case. 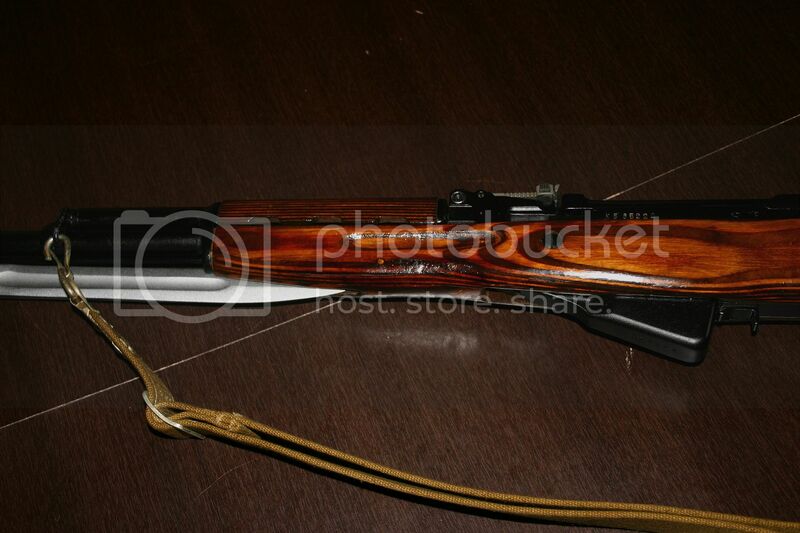 Nice Russian SKS by the way! Thanks! Another potential aspect of this is the low number of 1955s produced and how does they play into this, if at all? If the Д suffix is just 1956, which I'm not disputing, then can we explain the low number of 1955s? Was it related to something going on in Russia at the time or something else? I don't know without doing more research there but one thing I know is we don't see a lot of true 55s. Don't know if you have this 1955 example but I saved these pics from another forum (member Martin08) a while back for reference....she is a beauty. Don't see alot of original 50s or a single 49 either, but that dont say much as far as their dates. Wasn't it recently discovered that the letter guns were not even made at Tula and Izhevsk? If so, I'm not surprised about an 55 partial production year. Wasn't it recently discovered that the letter guns were not even made at Tula and Izhevsk? I wasn't aware of this...first I heard of that. I'd be interested in seeing info on this. First I've heard of this too. I have heard of the whole "They moved the machinery from Tula/Izhevsk to China/Romania/Yugoslavia/NK/insert-communist-puppet-state-here" assertion, but it's a bunch of speculative hot air as far as I'm concerned and I've seen ZERO proof behind any of it beyond the internet ramblings of armchair collector 'experts'. I have seen many solid references that show the Russians sent material and technical expertise to China in the '50-'60 timeframe, but I've never seen a single one that claims that Tula or Izhevsk just up and moved. Martin has some great looking firearms. These are clearly not Russian built guns as the Russians had no provision for leading zeroes in any of their serial numbers of that time period. This is only my opinion and there's lots of speculation in there. To be honest, this is one of those where the answer may truly never be known. I think it's plausible though, '56 through '61 was certainly a known transitional time in Russian arms production even from a standpoint of them changing their year marking procedures from numerals to letter codes, then back to numerals. Just like all this crap.... No documents. Forum user OldOutlaw was in contact a few years back with someone 'in the know" within Russia that gave us the letter years as they corresponded to the Tok. IIRC, the guy said the letter guns were assembled using nos parts at a dif location/locations. Hope I'm not bringing up things that have already been discussed in the restricting sub-forums. If so, please let me know so I'm not bringing up topics already discussed. Here is something else to think about. 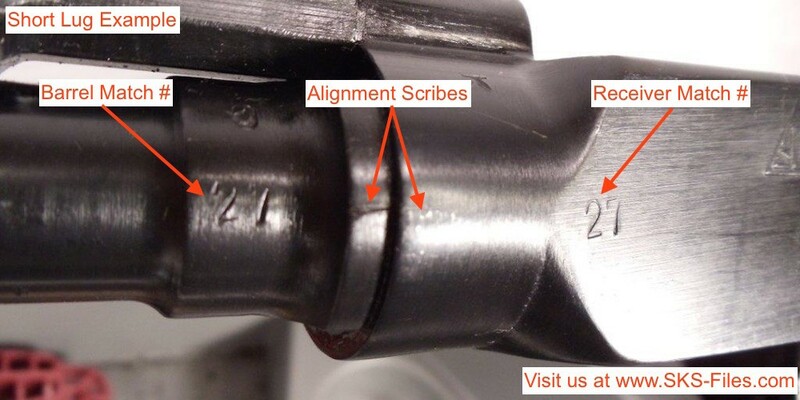 In the AK world they have "Forging Codes", which are intrinsic to the trunnion date. This code tells us what factory produced the trunnion and the year it was produced, independent of the roll-stamped code or date on the trunnion. The number is basically an in-house arsenal inventory code that is used to track the part prior to it being installed on a rifle. 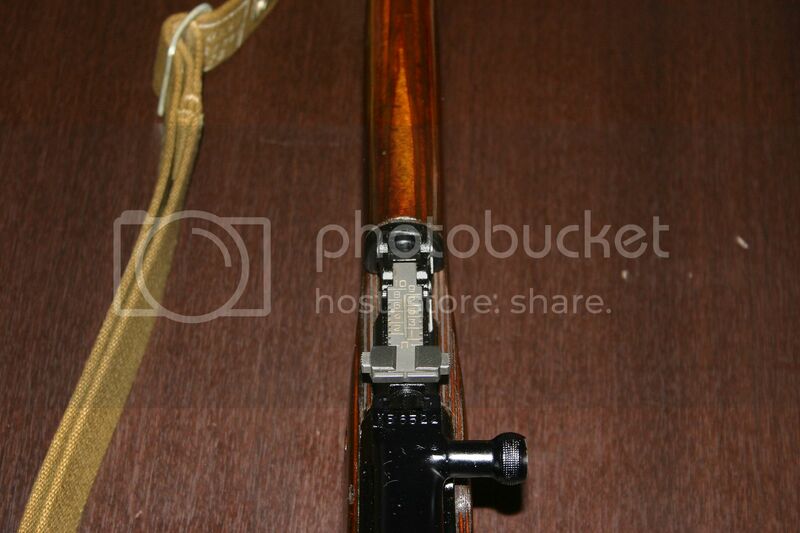 However, AK forging codes have no direct relationship to when the rifle was actually put together and only the serno can be used to determine when the rifle was actually built. A few of my trunnions for reference. I bring this up because I have noticed many (certainly not all) Russian SKSs, and some early Chinese, have numbers on their receivers and often matching numbers on the barrel. Is this a similar type of coding as AK forging codes? I have no idea but if so, it can shed a lot of additional info. Of course quantity of examples is the key to any real results when looking at this kinds of things. I would think 1949 can somewhat be explained as that was the first year of production and Tula may have not produced a full years worth of production? Again, the importance of batch codes. Does anyone know the actual month in 1949 when full production commenced? I have several books on the subject that I'll browse through over the long weekend to see if I can find anything that narrows down the production start date but off the top of my head I don't recall anything very specific. It's been talked about in a few threads Bunker, but it's always good to discuss it and get others' points of view. 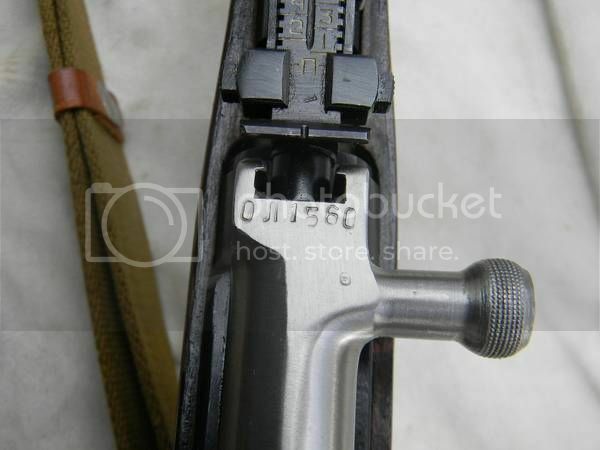 There are two 'commonly' seen stamps on SKS receivers/barrels. The first is what we call the barrel/receiver match number. These numbers are seen on the side of Russian, Early Chinese (though mid-short lug years when it suddenly stops), Albanian, and Romanian SKSs. With data gleaned from a couple hundred entries in our Comprehensive Chinese SKS survey, it appears that the numbers ranged from 0 to 35 for a total of 36 distinct numbers. 99.9% of the guns I've seen or that have gone through the survey have the numbers on the left side of the barrel lug and left side of the receiver match. 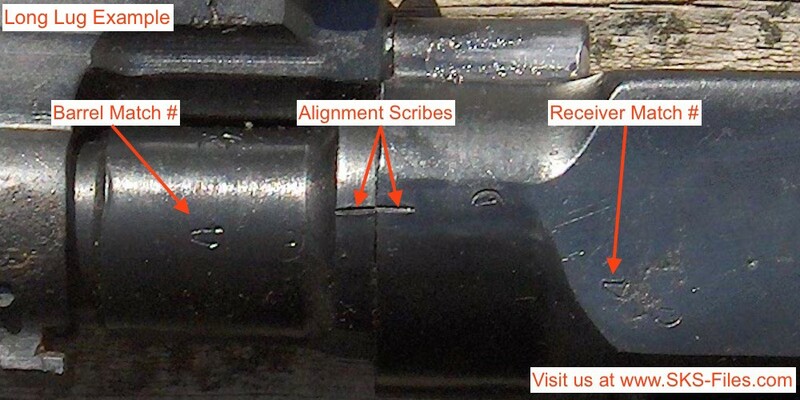 This, along with the common alignment scribes suggest this was a way for the armorer to keep track of various components of the barreled receiver during the initial build and headspacing. The repeating 0-35 number set would also suggest that barreled receivers were handled, headspaced, assembled, bundled / crated, what-have-you in groups of 36 at a time. 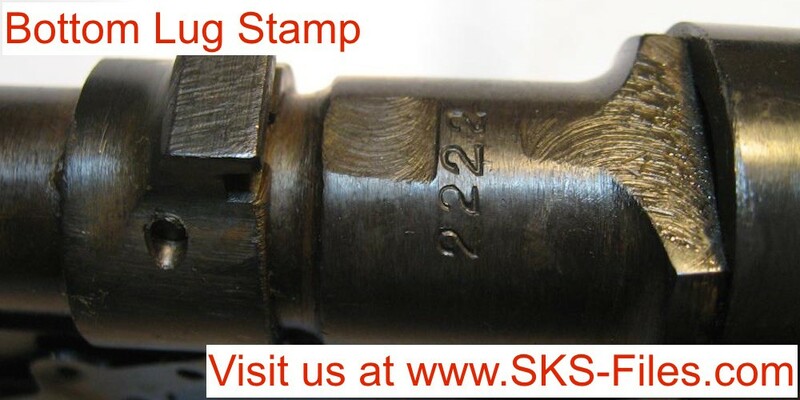 The second stamp certainly found on Early Chinese and Russian SKSs is a prominent stamp on the bottom of the barrel lug. 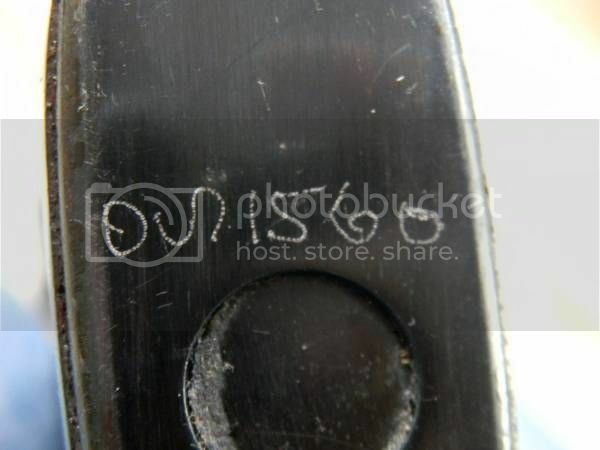 I know for a fact that these stamps are found under the Yugo lug as well as they often use the number to keep track of unmarked parts during a refurb process. I *think* Romys and Albanian SKSs have them too, but I honestly don't know that for certain. We don't have a 100% handle on what this stamp is, but I believe it is a barrel lot, heat treat, or other process number. It's interesting that the number is not unique, there are groups of guns that have different serial numbers (could be over a range of a couple years even) but they have the same barrel lot number. The lot numbers can either be all numeric with 1, 2, 3, 4, or 5 numbers with no leading zeroes (there have been unconfirmed survey entries that say there are 6 characters) and the stamp might also start with a letter prefix. These numbers are likely very similar in purpose to what you're seeing in the numbers on the AK trunions. Thanks for the detailed explanation! You've certainly cleared up a few things and great to see you're tracking all of this info. Would be nice if the Russians or Chinese turned over the play book at some point in time but I think it's safe to assume that will never happen. I don't think anyone has ever came up with a tangible explanation as to why 49 or when in 49 etc. A 48 receiver covered gun showed up in Canada as a matter of fact. The cover said 1948 CKC.